There are three inextricable strands of . And whilst it is difficult to determine a hierarchy, I would suggest that reading is at the top of my list (although oracy comes a very close second!). Fundamentally, reading gives children the means to express their thoughts. As the wealth of statistics suggest, the greater the exposure to reading, the greater the child’s decoding proficiency, vocabulary choices and comprehension ability. And of course, as these develop, so too do their writing and oracy skills – you can’t have one without the other…two. The most basic of reading skills, yet often overlooked in secondary schools. To a secondary school teacher, teaching a child to read is the remit of primary education – and therein lies the problem. 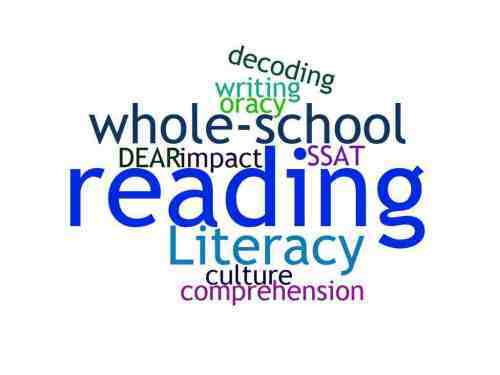 There is often an assumption made that unless a secondary school pupil is receiving specific reading support in the SEN department then they are fine. As such, pupils who may not have profound reading difficulties – perhaps only gaps or misunderstandings in some phoneme-grapheme knowledge – are not being sufficiently supported in classrooms. Their ability to access textbooks, worksheets, keyword lists would be impacted and thus progress impeded. Perhaps the best place is with a reading test of those pupils deemed to potentially be in this group. Students with similar decoding ‘gaps’ e.g. suffixes, should be grouped (during tutor group time can work well) and supported. Little and often until the ‘gap’ is ‘filled’. Regular assessment of those pupils in the group. All teachers should be educated in the basics of decoding, for example, phoneme-grapheme correspondence and key spelling rules. There should be an expectation that the reinforcement of these decoding basics are part of their everyday teaching. Curriculum plans, schemes of work and lesson plans should make reference to the decoding basics, and time should be given to their inclusion. Next up is comprehension. Whilst pupils might be able to sound out the words, can they actually understand the meanings of words, sentences and whole texts. All teachers should be made aware of what I consider to be the core comprehension skills. These are the ability to retrieve, infer, predict, compare and summarise. How do they support the teaching of these skills in their classrooms? There should be a whole school approach to supporting these comprehension skills. This could be the explicit emphasis on one skill each half term with starter activities and homework tasks designed by each subject to support the consolidation of that skill. Curriculum plans, schemes of work and lesson plans should make reference to the comprehension skills, and time should be given to their inclusion. Lesson observation criteria should make reference to the ‘support of comprehension skills’ to ensure a whole school approach is reinforced. Reading should be at the heart of the school. Every opportunity to reinforce and celebrate the importance of reading should be taken. At break time, lunch time and after school, the school library should be the busiest and most welcoming space in a school. Reading material in the school library and elsewhere in the school should be varied: consider not only novels and text books but short story collections, newspapers and graphic novels. Share ‘best reads’ through newsletters and in staff briefing. Create a staff library and, perhaps, a staff reading group. Reading displays should be prominent in every department. Recommended reading lists and teachers’ favourites can be shared with students on posters. Paired and group reading schemes can support shift in reading culture. There is the desire to do it all but, as my previous blog suggested, starting small is often more successful and definitely more manageable – begin with one idea/approach for supporting each of these three reading strands to start with and review your progress after half a term. Is the idea/approach having the desired impact? If so, why and can you extend the impact further? If not, why not? If you find that the desired impact is not transpiring for all three of the reading strands then go back to basics and focus on decoding – the most fundamental of all three reading strands.